The Sporting News Newspaper back issues from the 1960s are a vast improvement over the issues from the 1950s, because of the added pictures. Although TSN printed the pictures in mainly in black & white, they are much more collected than earlier issues due to there availability and increased eye appeal. 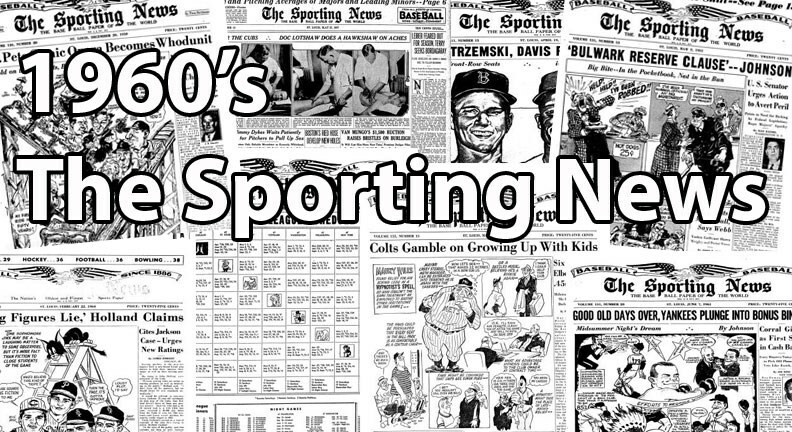 The new ownership in the 1960's encouraged stories that related to younger sports fans and the magazine even dropped its slogan "The Baseball Paper of the World" in order to reflect its new multi-sport coverage. TSN also added its first touch of color by printing its name in red and by 1969 all of the covers featured color photographs. CLICK HERE if you want to sell your 1960's Sporting News cards. Showing 1 to 100 of 224 products.